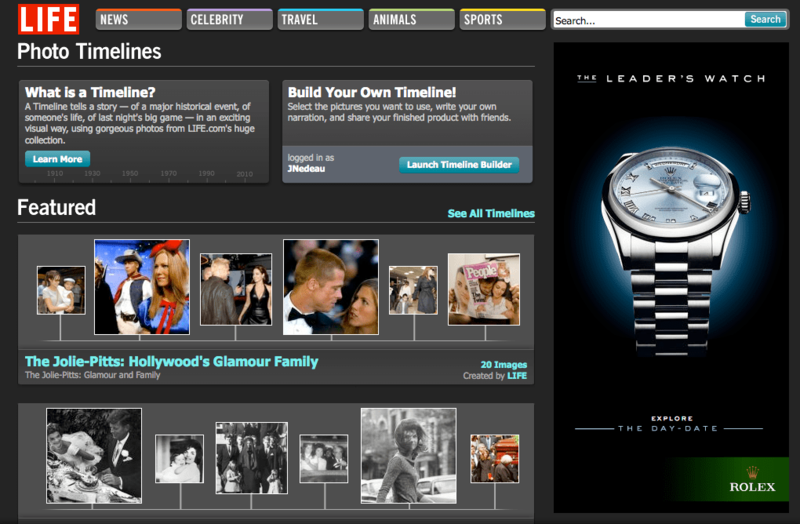 Life.com is now allowing people to use their photos and their timeline maker to tell and share stories. Facebook, Twitter, Yahoo and Google users can connect to Life.com using their preferred profile and begin creating a timeline right away. Completed timelines can also be shared on Facebook.